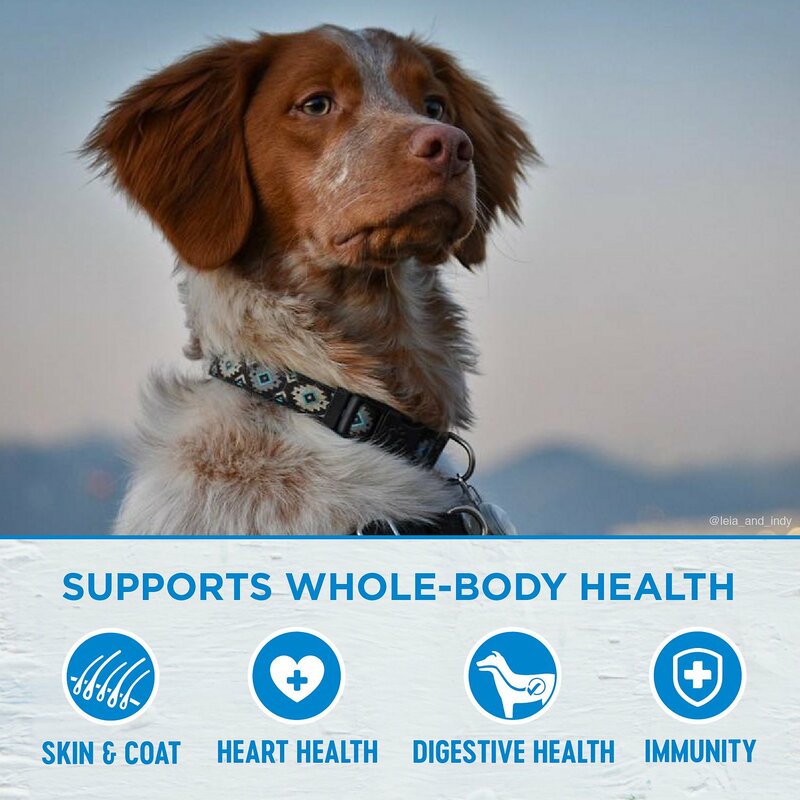 Using only a small number of simple, pure, authentic ingredients with an ideal balance of protein, fats and carbohydrates, Wellness is able to make superior food and treats for animals. Only pure protein from high-quality sources is used and every ingredient has a purpose in every food they make - meaning there are no empty calories. Wellness studies each ingredient until they're confident of its health benefit. Then, they make sure to put in the right amount so you'll see a difference in your pet. We have been battling digestive disorders with our long haired chihuahua for over a year. He was a rescue and had severe stomach disorders including a bleeding ulcer. 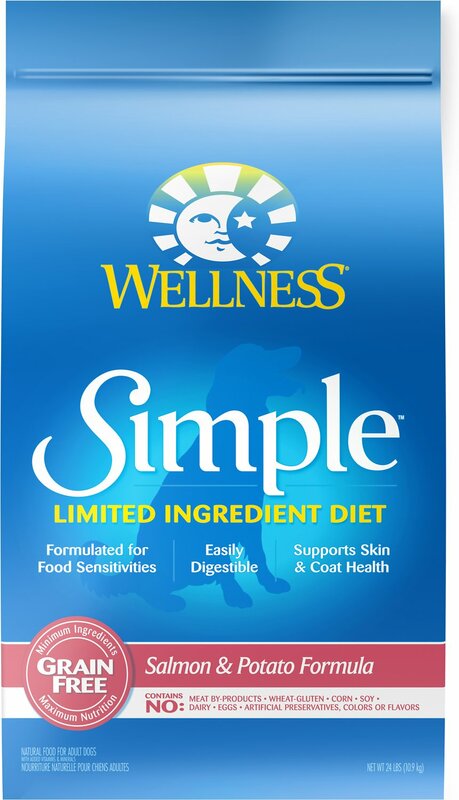 Thousands of dollars later and not being able to use prescription food and other brands we almost lost hope.We have now tried slowly switching to this brand off a 3 month bland diet. So far so good. No problems. 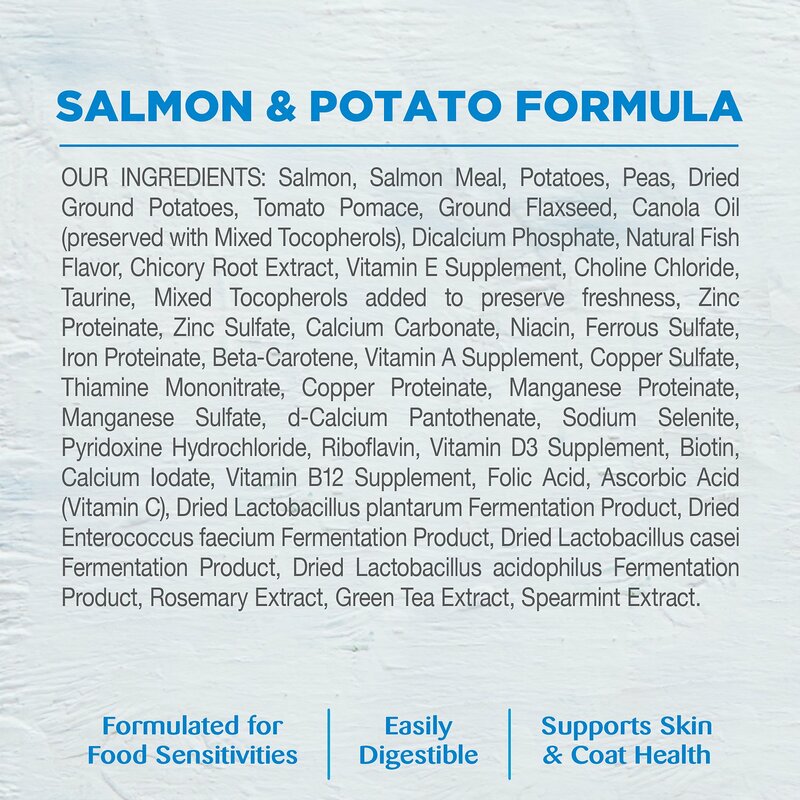 Next week we will start adding the wellness 95 percent salmon as a topper to the dry. Prayers he continues to do so well and he loves it. Prompt delivery; smells good; bag is sealable. Maggie is a pit bull Boston Terrier mix we think. She has started itching and biting herself terribly. Creating some sores. We have been feeding her Purina Pro Plan Plus salmon and rice formula. But in reading the reviews I also realized that I have been giving her Christmas leftovers of beef and turkey this last month so that could be a problem. Going to start her on this food today and stop the leftovers. Hoping to report back good news. 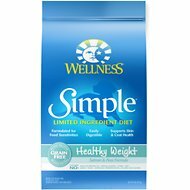 I always purchased the small breed Wellness Simple. When it was unavailable, I was told this kibble was the same size. It is not. Not even close. My 3 pound Yorkie can not eat it. It is way too big for her. Find another brand that offers small breed. Off to the store to find her something she can chew. Our labradoodles have very sensitive tummies. We have tried many different foods and this is the FIRST one that doesn't make them sick. We are incredibly thankful to have found it!! 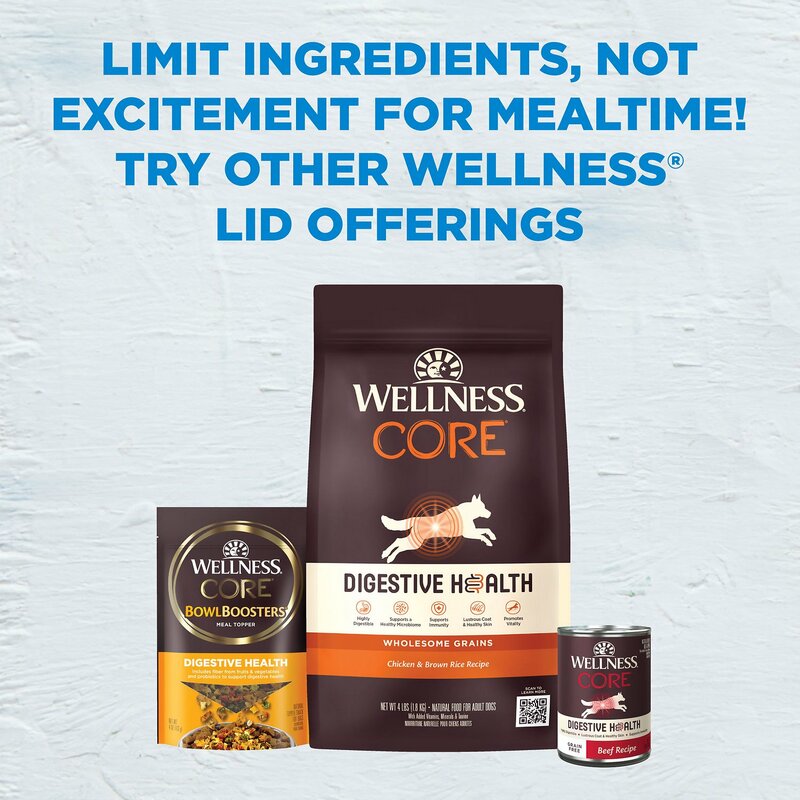 I really love how this food gives my dog energy! She is 12 years old and acts like a puppy, and with a sensitive stomach this is a great plus!! No stomach issues at all. 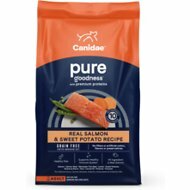 My dogs food which she loved we resently got notice it was no longer available so we tried this food and my dog is not liking it. She is leaving dog food all over the house. It’s not going good! 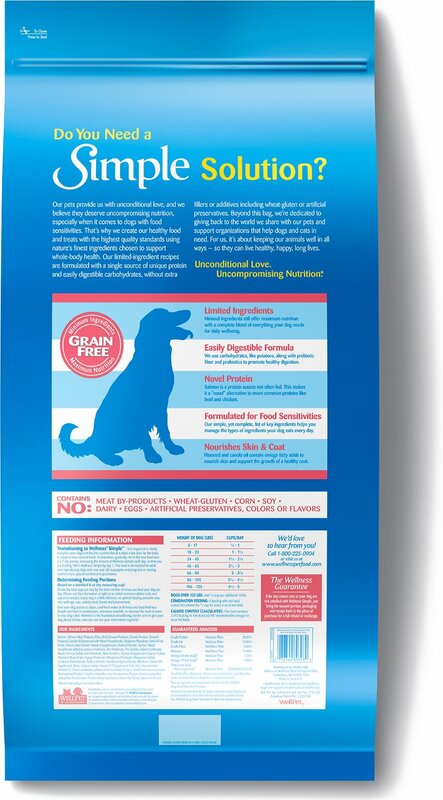 We started feeding this to our Soft Coated Wheaten Terriers after trying many high end similar product kibble. One of our dogs has a very sensitive stomach and this has been a very easy transition and they both love it.